Compact glossy foliage. 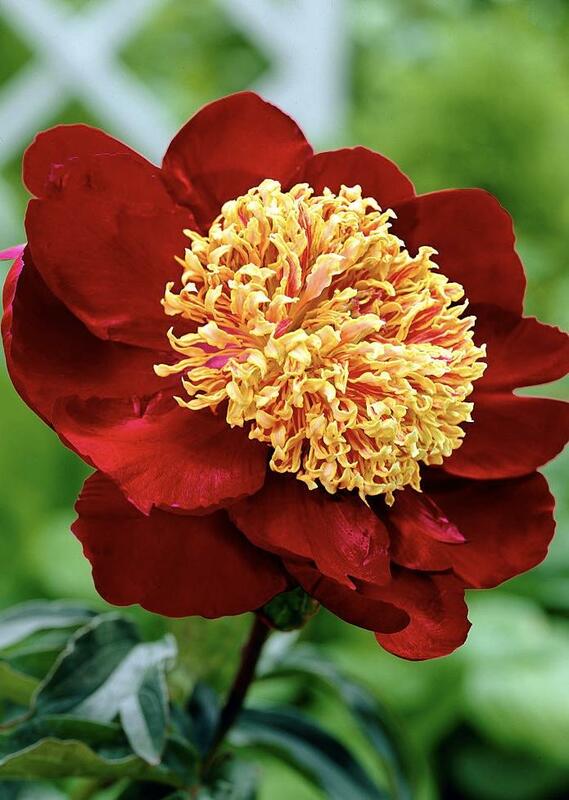 A stunning rich blood red single flower with huge gold ruffled petaloides, May to June. Sun and good rich soil. 80cm tall. Cut down in November.